When characters in a movie are having a good time, it’s hard to completely resist their charms. 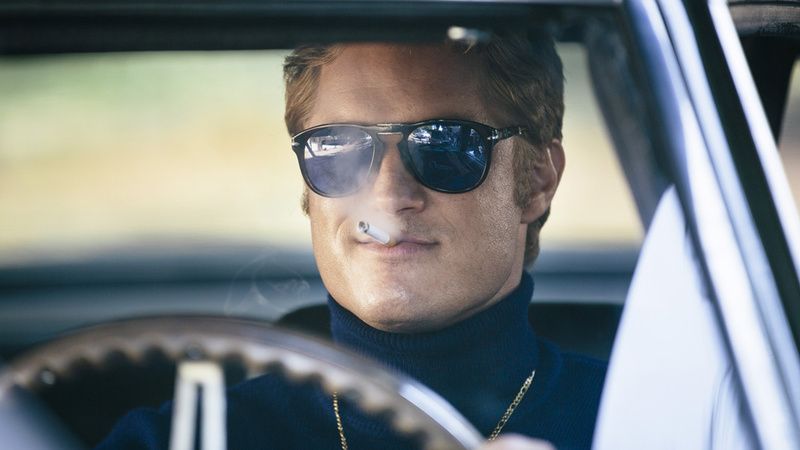 Such is the case with Finding Steve McQueen, a jaunty heist tale that has more than its fair share of fun, even if the final product is on the sleight side. This is the sort of picture that, depending on how and when you watch it, will determine in large part what your feelings are. If you were to see it on cable or on a plane, for example, it would certainly satisfy and pass the time. In theaters or On Demand, however? There, it comes up a little short of the necessary mark. The film is a mix of a crime caper and a bit of a romance as well. 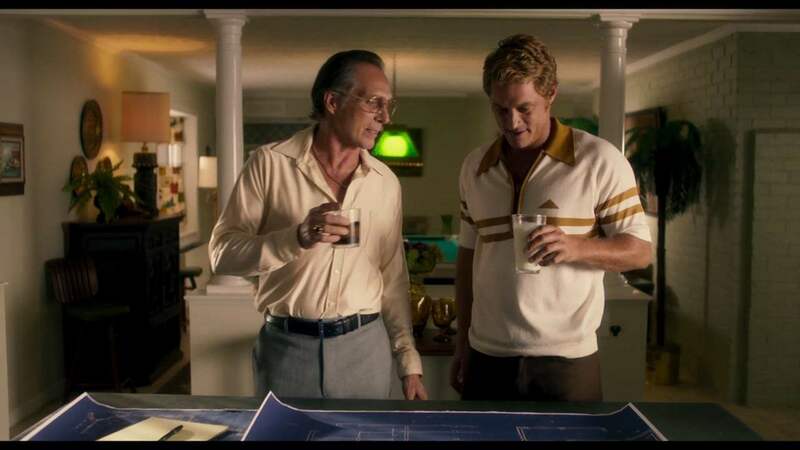 In 1980, Harry Barber (Travis Fimmel) begins to tell his girlfriend Molly Murphy (Rachel Taylor) a story. Back in 1972, a group of thieves from Youngstown, Ohio, under the direction of Enzo Rotella (William Fichtner), set out to steal a number of millions from President Richard Nixon. Apparently, he’s hidden the fortune in illegal contributions and blackmail in a secret fund that’s been discovered. This heist puts them on the radar of the F.B.I. and specifically the duo of Howard Lambert (Forest Whitaker) and Sharon Price (Lily Rabe). As Harry details this to Molly, we start to find out more about him, the robbery, and why he’s telling her this now. Mark Steven Johnson directs a screenplay by the duo of Ken Hixon and Keith Sharon. Cinematography is by José David Montero, while Víctor Reyes composed the score. 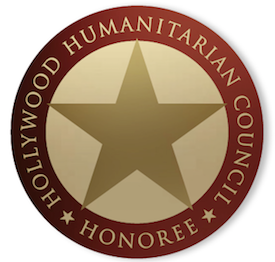 Supporting players here include Rhys Coiro, John Finn, Louis Lombardi, Jake Weary and more. It’s undeniable fun to watch the heist come together. Unfortunately, it doesn’t add up to much and the structural decision to essentially tell the tale in flashback negates some of the excitement. Travis Fimmel is fine, yet unremarkable in the lead role, while Rachel Taylor is charming and spunky, yet under-utilized. William Fichtner gets very little to do, which is a shame, while Forest Whitaker is completely and utterly wasted. Director Mark Steven Johnson moves things along well enough, though the script by Ken Hixon and Keith Sharon doesn’t quite jump off the page enough. They all do fine enough work, but the final project never leaps over the bar. Interestingly, the concept of money hidden by a crooked President is one that could have been explored more. Hell, the fictional Triple Frontier ended up covering similar ground, just not on American soil. That film makes that the central conceit of the plot, while this one does not. Finding Steve McQueen is as concerned with the love story as the robbery. Arguably, they should have leaned more into the romance, as that’s more consistently engaging. Neither add up to much, but that’s where more interest level resides. The heist aspect is fine, but there’s nothing here we haven’t seem many times before in other, better, projects. 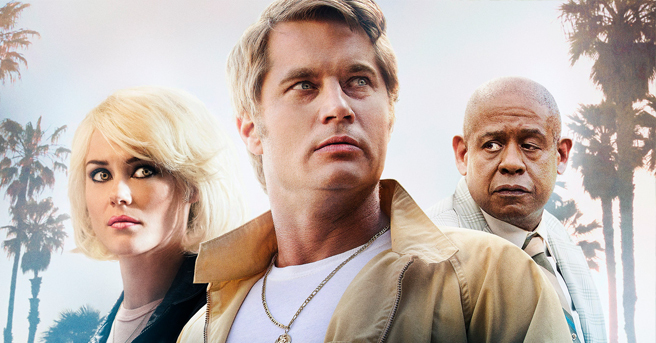 Finding Steve McQueen is in theaters now!